The MacArthur Landing Memorial Park is a memorial to the landing of General Douglas MacArthur and his men at the exact spot where MacArthur and other important personages waded ashore in the knee-high waters of Red Beach on October 20, 1944. 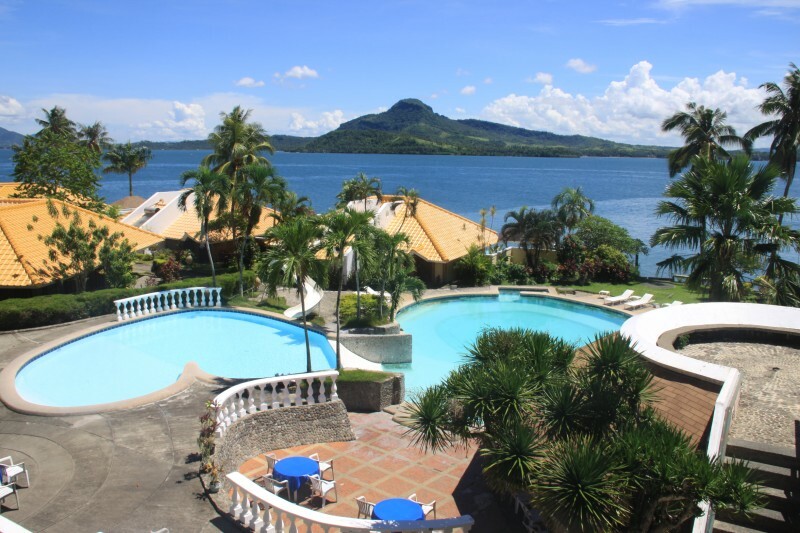 It is located in Candahug, a barangay of the municipality of Palo in the province of Leyte, part of the Visayas. I went here at around 3PM of July 17, 2013. This was during my first time in Leyte, my 21st province. Also known as the Leyte Landing Memorial, the memorial consists of larger-than-life (around 10 feet or 1.5 times) bronze statues of General Douglas MacArthur with other men, including General Carlos P. Romulo, General Sutherland, then President Sergio Osmeña, Jr., standing in a man-made pool. In front of the statues are the Proclamation and A Memorial for a Fulfilled Promise Plaques, containing General Douglas MacArthur’s significant words. Coming from Tacloban City, ride a jeepney or multicab going to Robinsons Place Tacloban (fare is Php 8 and travel time is 15 minutes) and once you alight at the front of the mall take a a jeepney or multicab going to Baras (fare is Php 8 and travel time is 5 minutes). Don’t mistake to get a ride to Marasbaras, it’s different. Tell the driver to drop you off MacArthur Landing.